There’s nothing worse than a humorless Christian. You know the type — tight lipped, judgmental, unsmiling, Puritanical. Someone who views frivolity as sacrilege and humor as heresy. Perhaps you’ve even met the type — online or in person. The gospels aren’t funny in the traditional sense. It’s not slapstick comedy; there are no pratfalls. They’re passion narratives, not anthologies of “The Wit and Wisdom of Jesus Christ.” But then the story of our salvation, the death and resurrection of our Lord, is serious business. 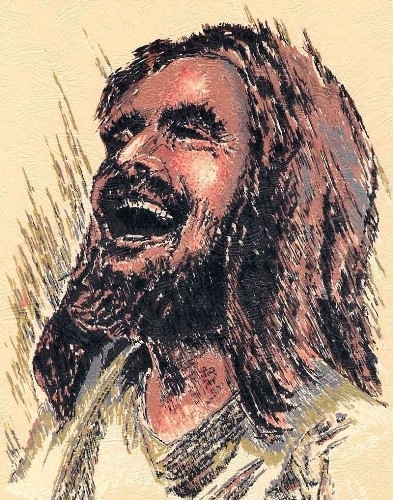 Jesus recognized that humor is as equal a part of the human condition as suffering and joy. It is integral to the human condition, and Jesus embodied this just as much as he embodied forgiveness, compassion and hope. Jesus had a wonderfully vibrant sense of humor, but it wasn’t employed merely to “get laughs.” It is humor that seeks to inform and convert. Even when the humor is directed at a certain group, such as the Pharisees, it is still a humor born of love and compassion. Jesus mocks the self-righteous even while calling them to open their eyes, repent and see. It is a bit odd that within the Church the humor of Jesus is so roundly ignored. Maybe we’re afraid to laugh in the presence of the divine. We tend to shy away from visions of our Lord smiling and joking and engaging us in laughter. Yet there is great evidence that Jesus desires this important piece of our humanity to shine forth. Laughter is simply good for the soul and it allows us to confront the darker sides of life with grace and composure. Since God created humor, it makes sense that Jesus would use humor to communicate with humanity. Without humor, life would be unbearable. Humor is used as a means to deal with the burdens of life. 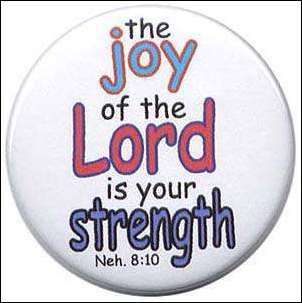 It makes light the yoke of sin, death, and human frailty. We also lose the facial expressions and tone of voice so crucial to successful comedy. David Letterman can make us laugh with a simple facial expression or the inflection of his voice. A manuscript of his show wouldn’t be nearly as amusing as seeing it live. And unfortunately the gospels have been handed down to us as manuscripts, not YouTube videos. Yes! Thank you for posting this! This topic was a chapter in my master’s thesis, and people looked at me like I was a heretic for bringing up the idea the Jesus had a sense of humor. But it’s there–Jesus had a masterful way with words and wordplay, and we can’t see the whole picture of Jesus if we don’t (or won’t) see that aspect, too! One of my favorite comments is the one about the “mote” in someone’s eye. I like to think that Jesus continued, “when you have this big honkin’ plank in your own,” reaching his arm out in front of him as long as it would go. Thank you for the reminder that Jesus had a sense of humor! Thanks for this look at someone who always seemed un-approachable, until now. It’s funny what a little mystical humor can do! Great observations! You should all check out Coffee With Jesus at http://radiofreebabylon.com/Comics/CoffeeWithJesus.php if you’ve never seen it! My father wrote a doctoral dissertation in the 1960’s on satire in the Bible, and it got turned down for publication because, as one publisher put it, satire in the Bible doesn’t exist and therefore the whole thing is invalid. I read this in the paper this past week. As someone who has had my fair share of “standoffishness” with religion lately, I truly appreciated this entire piece. Thank you, thank you, thank you for a poignant read. I find matthew 6:16 so hilarious. The picture is vividly painted of the Lord himself making a face descriptive or the blind leader whose every act is for the outward show. I have tried to make such a face in front or a mirror and never got to holding it for a second before bursting out in laughter. Humour is truth and truth is light-heartedness. Thanks for this post.